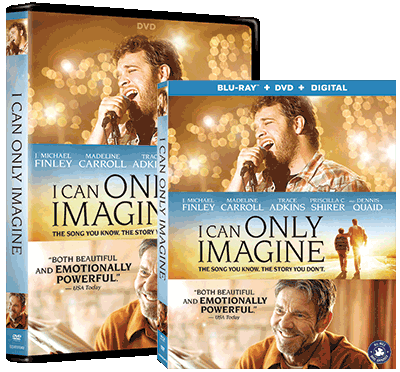 Share this true story of hope and forgiveness with the members of your church and community at large by hosting a special I CAN ONLY IMAGINE Movie Event. Order your Movie Event Kit now. PLEASE NOTE: A site license is required to show movies to your church, school, ministry, or organization. In order to host group showings of I CAN ONLY IMAGINE, you will need to purchase an official Site License. Umbrella license programs (such as CVLI) do not apply to films like this.